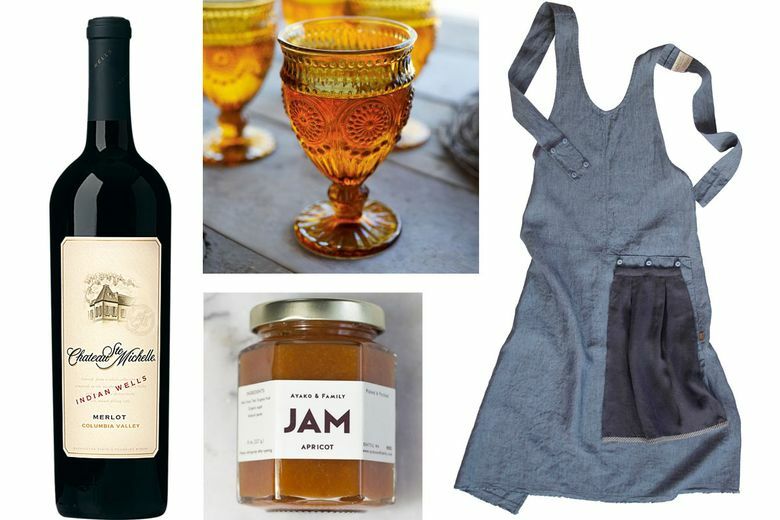 Thanksgiving tools, décor items and easy-to-add sides that will ease you through the big day. Don’t let all the Christmas displays distract you — the big feast is fast approaching. 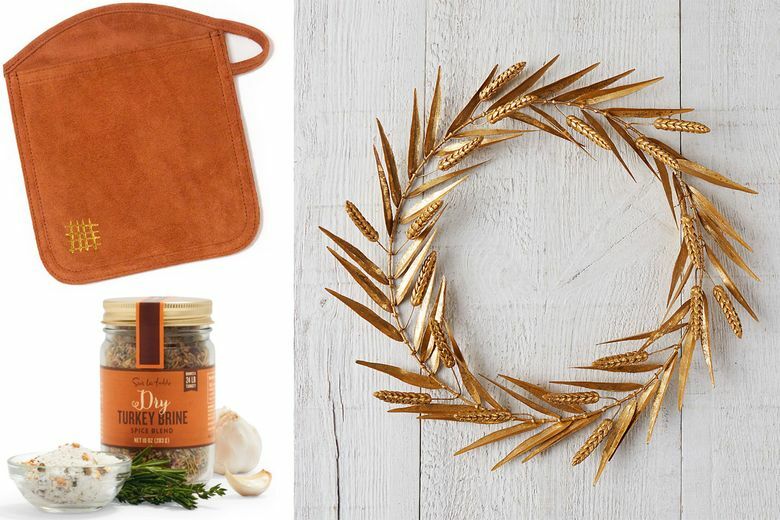 Make the most of your Thanksgiving get-together with a few new tools, décor items and easy-to-add sides that will ease you through the day and support party efforts into the new year. Thread & Whisk Grace Apron ($125 at threadandwhisk.com; get 20 percent off your entire order with the code “SeattleHolidays” at checkout through Dec. 24). There wasn’t a detail missed on this Portland-made, 100 percent linen apron that’s so comfy and chic you may forget to take it off before the meal. There’s a button-on hand towel, a hidden pocket for your phone and adjustable straps for a perfect fit. Lamplight Kitchen Co. Spurtle Set ($30 at lamplightkitchen.com). 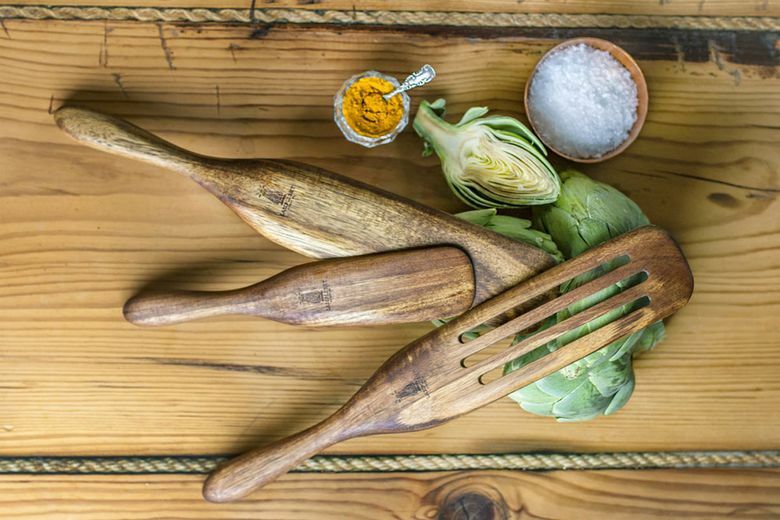 Local, trained chef Shaina Haughian and her husband Connor came up with this ingenious set of three solid-wood tools that take the place of a spoon, spatula and scraper. Functional and beautiful, they can be used for everything from tossing roasted veggies to scraping up fond for the gravy to mixing the butter into the mashed potatoes. Tovolo Precision Peeler ($6 at Uwajimaya, International District). Blaze through potato prep with this new peeler from the Seattle-based company. A sharp, swiveling stainless steel blade helps work go faster and makes digging out eyes and bruises much easier than with a plastic-tipped tool. 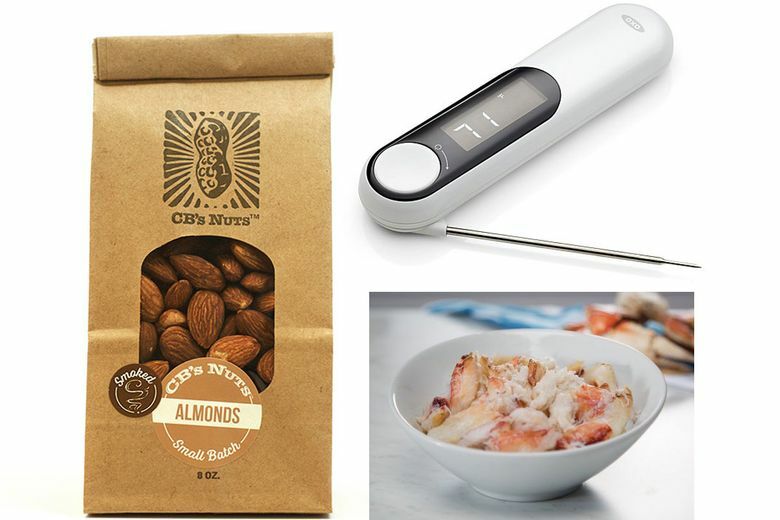 OXO Good Grips Thermocouple Thermometer ($100 at amazon.com). Avoid a dry bird or undercooked stuffing by taking accurate temperature readings throughout the cooking process. This new professional-grade thermometer produces an accurate reading in just 2–3 seconds, with a rotating probe and backlit screen for easy monitoring. Jane Domestic Suede Mitt ($29 at janedomestic.com). Upgrade your old oven mitt to this chic locally made option that also serves as an on-theme hot pad to elegantly add to your tablescape. Porter & York Dungeness Crab ($195 for five pounds picked at porterandyork.com). Wow family visiting from other parts of the country with sweet, tender Pacific Northwest Dungeness crab. But be careful; this appetizer could blow away the main course. Ayako and Family Apricot Jam ($14 at DeLaurenti, Pike Place Market). Add this local jam to a cheese board for a tart, sweet accompaniment to a variety of cheeses, such as Monterey Jack or fontina. CB’s Nuts Smoked Almonds ($9 at cbsnuts.com and fine grocery stores). As an appetizer or sprinkled over veggies, these almonds out of Kingston deliver smooth crunch with a hint of smoky flavor. Sur La Table Dry Turkey Brine ($10). Not able to brine? Add rich flavor and moisture to your bird with the local kitchen store’s dry mix that includes salt, spices, onion and garlic. Chateau Ste. Michelle Indian Wells Merlot (on sale for $15 at Fred Meyer). Try a red with your meal and celebrate the 50th anniversary of the storied local winery with this easy-to-drink wine full of ripe berry flavors. Fancy Panz ($20 at fancypanz.com). 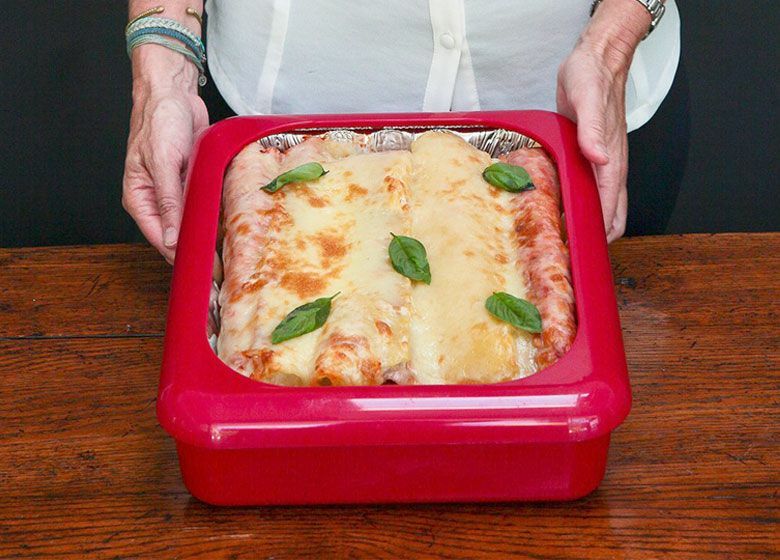 Class up a potluck with these clever covers for disposable pans that provide extra stability, travel protection and a more elegant appearance. Sur La Table Amber Floral Wine Glasses ($30 for four). For water or wine, these glasses add autumnal charm with a retro vibe. Terrain Golden Wheat Wreath ($98 at shopterrain.com). Over the mantel or greeting guests at the door, this hand-cast wreath evokes the bounty of the season while maintaining a minimalist elegance. Sambonet Terra Cotto Cast Iron Oval Casserole Pot with Lid ($270 at sambonet-shop.com). 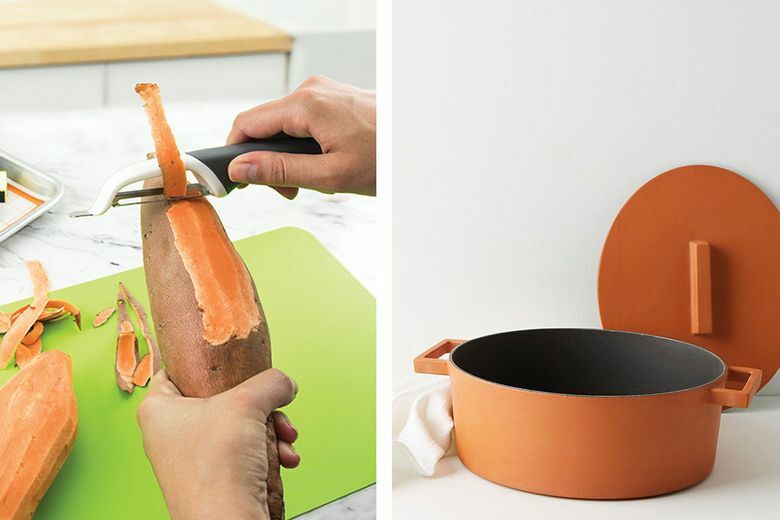 Go from oven to table to Instagram with this curry-colored, enamel-coated cast-iron pot that is as chic as it is practical. Epicurean Pastry Stand with Round Top ($40–$60 at epicureancs.com). 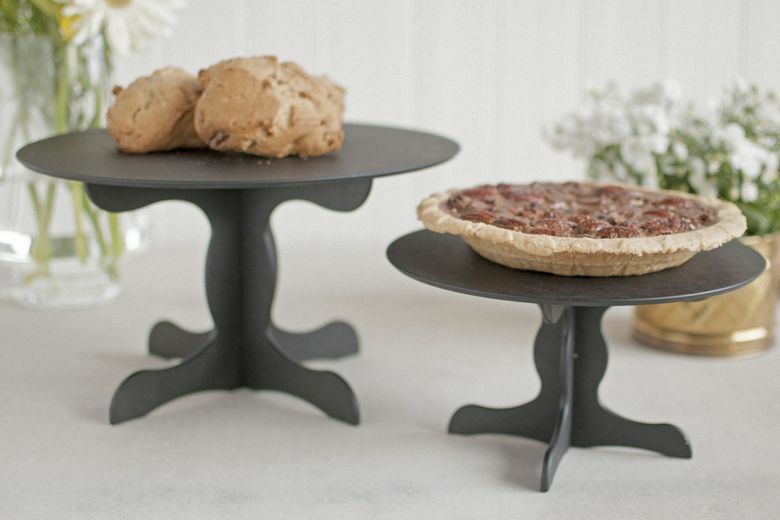 Cake stands are great for creating height and displaying everything from appetizers to desserts. But the vast majority of the year they eat up valuable space in your kitchen drawers. That problem is solved with this collapsible stand that breaks into three pieces and is dishwasher-safe.